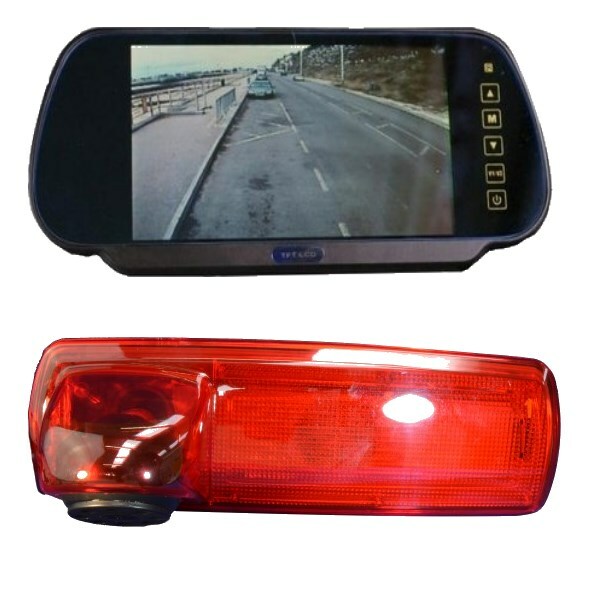 This matches a CCD Vauxhall Vivaro brake light reversing camera to our popular MON293 clip on mirror colour rear view monitor. The brake light camera allows a reversing camera to be fitted without drilling holes in the bodywork. It is a wide angled camera offering good day and night views. The mirror monitor helps keep the dash free of clutter.